Preheat oven to 200°C (400°F). Place the carrots, fennel, sumac, salt, pepper and half the oil on a large oven tray and toss to coat. Add the garlic, cut-side down, to the tray and cook for 30–35 minutes or until the carrots and garlic are tender. Place the chickpeas, remaining oil, salt and pepper on a separate oven tray and toss to combine. Place in the oven and cook, stirring halfway for 25–30 minutes, or until crisp. 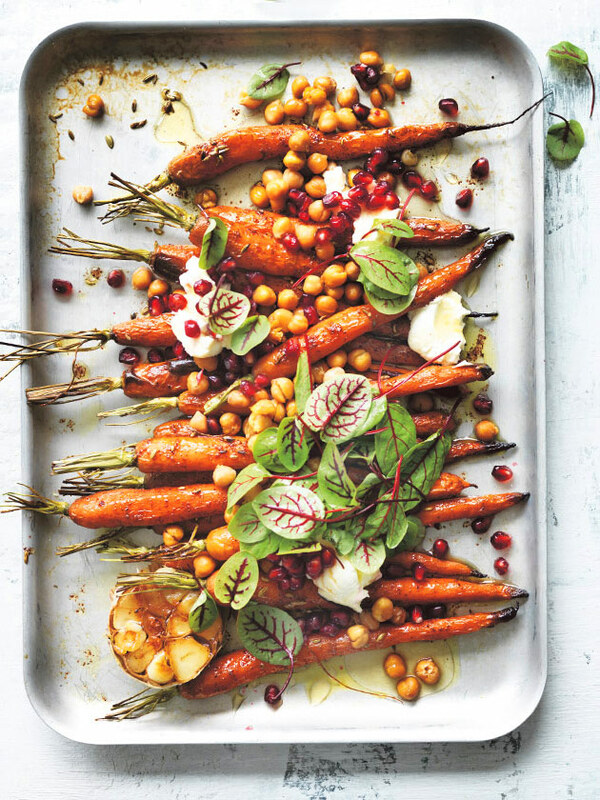 Top the carrots with the crispy chickpeas, labne, pomegranate seeds, honey and red vein sorrel. Serves 4.